Option Alpha is an educational option trading website run by Kirk du Plessis, a former M&A Investment Banker, and REIT Analyst. It is safe to say that Kirk du Plessis has been in the financial industry for some time and he definitely seems to know what he is doing. In this article, I will tell you about my experience with Option Alpha, its features, software, memberships and more. After reading this Option Alpha review, you should have a pretty good idea if Option Alpha is something for you. Option Alpha offers loads of different features. They have everything from podcasts, options trading courses to backtesting software, live trade alerts and more. Instead of presenting each of these features separately, I will divide the features into three categories: free, pro and elite. Those are the three membership options at Option Alpha and with each, you get access to different features. *The reason why I put ‘Live Webinars’ in parenthesis is that I have never seen a webinar be available. If you go to the live webinar page, you can read that the registration for the webinar will open soon. This has been like that for years now which is a bummer. As you can see, Option Alpha’s free membership offers tons of valuable education. This isn’t a free trial. You can actually gain access to all of the above through the free membership. Obviously, you will still have access to everything included in the free membership. Basically, the pro membership is a trade alerts membership. However, instead of following the trade alerts, you could also just learn from them in real-time. I personally am not a huge fan of this membership. But more on that later. Furthermore, Option Alpha offers two research reports. One on technical analysis and one on options trading strategies. If you purchase any of these products, you will have lifetime access to them. 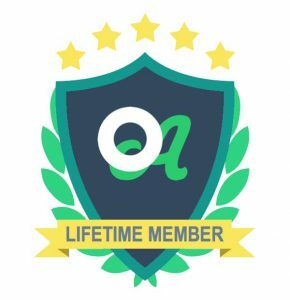 The last membership option at Option Alpha is a lifetime subscription. This gives you lifetime access to all of the above and to future product releases. So with this membership, you gain access to the elite membership features and all the reports and software. Now you know about all the different memberships and products at Option Alpha. But are they any good? Let’s start with The Free Membership. I think the free membership is amazing. 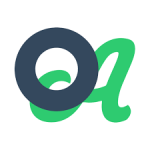 Option Alpha offers tons of free, high-quality education. Therefore, I definitely recommend the free membership. 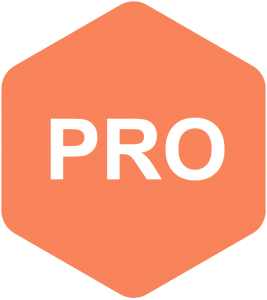 However, I don’t necessarily recommend The Pro Membership because it is just an alerts membership. You pay to receive trade alerts. The idea behind this concept is that you follow Kirk’s alerts and don’t actually do any thinking or trading yourself. I don’t like that concept. The goal of trading websites and education is to make you a self-sufficient trader. A trader that relies on no one but himself/herself. Later on, you ideally, want to be trading based on own research, analysis and generally, you want to make your own decisions. If you just blindly follow someone else’s alerts, you won’t learn. You will completely rely on that other person. If that other person makes a mistake, you would probably just blindly follow it. That is not a good approach to trading. Of course, you could use trade alerts and especially the review videos to learn about the thought process that goes into trading. However, if that’s your goal, you could also just watch the live trade example videos that are included in the free membership. So what about The Elite Membership? 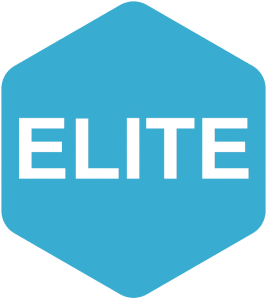 I think the elite membership is much more valuable than the pro membership. The reason why I think so is, that the elite membership focuses on options trading education, unlike the pro membership. The weekly strategy calls and monthly live Q&A calls are there to help you understand options, strategies, and other concepts. The Q&A calls give you the ability to ask questions and receive instant feedback. With that being said, I still think that it is quite pricey. $299 per month is definitely not cheap. I can’t tell you if this is worth it. You have to decide that by yourself. You have to find out how much you value regular small group coaching. In my opinion, the two most valuable Option Alpha membership options are the free membership and the lifetime membership. The free membership is just awesome for those that only want access to the education. But if you want more than that, I think the lifetime membership is the most valuable premium membership. Compared to all other paid memberships, it has so much more to offer. Just compare the lifetime membership to the elite membership. For the $1997 price tag, you couldn’t even buy seven months of the elite membership. Hopefully, you get my point. The lifetime membership just has much more bang for the buck than all other paid memberships. Don’t get me wrong. I am not saying that you have to sign up to the lifetime membership. All I am saying is that if you want to sign up to a paid membership at Option Alpha, I think that the lifetime membership is the way to go. But like I said earlier, if you only are interested in the education, the free membership is best for you. Before I draw a conclusion for this Option Alpha review, I want to talk about what you should expect. Option Alpha teaches the trading strategy high probability options selling. 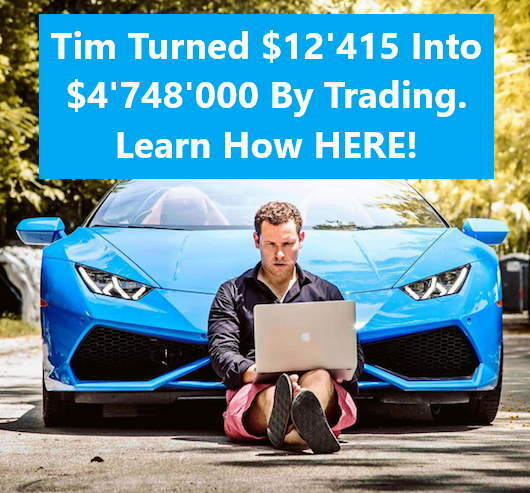 I too, teach this trading system and therefore, I can tell you with absolute certainty that it is a legitimate trading system. However, it is not a ‘get rich quick’ scheme. You won’t make tons of money just by joining Option Alpha and you should not expect that either. You won’t make millions of Dollars in the next few months or probably even years. Option Alpha’s trading strategy tries to teach you how you can trade options for consistent profits in every market environment. Note that just like with any other trading course, you will be required to put in some work. You won’t learn how to trade options by doing nothing. You will have to put in time to make it work. Ideally, you should put in at least a few hours every week. If you don’t have that much time, it will take longer to learn. But it is still possible. Just don’t expect to not have to do anything. 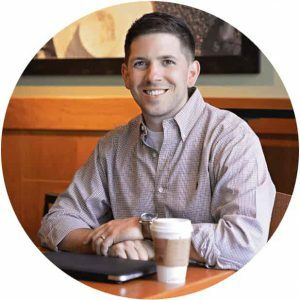 One thing that I really like about Kirk’s teaching style is that he is very non-promotional. Many other trading educators tend to promote their own products constantly, especially in their free content. Sometimes the free content of others isn’t even anything else than a promotion for their paid services. This isn’t the case at Option Alpha. 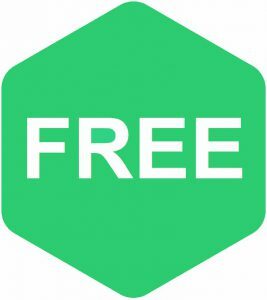 The free educational content and courses actually offer value. Generally speaking, Kirk seems like a very humble and honest guy. Is Option Alpha for You? If you want to learn how to trade options, then yes, Option Alpha is for you. There is absolutely no risk in trying their free courses and other education. The real question is, is the lifetime membership for you? I can’t really answer that question for you. This totally depends on where you are at. If you are just starting out and getting into options, you could start out with the free membership instead. However, if you are further down the road and are already familiar with options, then you should consider the lifetime membership. It allows you to take your options trading to the next level. You will be able to backtest your strategies, learn from Kirk directly, ask questions very regularly, optimize your trading strategy and much more. But once again, this depends on how you value this offer. I now told you my opinion about it. But it is you that has to make the decision. I do recommend the free membership. I do not recommend the pro membership (because it’s an alert membership). I do recommend the lifetime membership. Click Here to get started with Option Alpha! If you want to learn about other amazing trading resources, make sure to check out my trading resource page! When it comes to financial investments, I tend to be a hands-off guy, relying on recommendations and so forth to make the decision. In that respect the Pro offering is probably more for me. I wonder if the live webinar was a thought and then dropped and they just don’t realize it’s still on the site as coming soon or if they plan to use it at some point but just haven’t figured out how or when. I’m definitely going to check out the free option at least and get a feel for it. That’s probably what happened with the webinar page. It’s is good to hear that you are going to give Option Alpha a try. Thank you for your review of what Option Alpha has to offer. I have listened to all of the tutorials in Tracks I, II and III. I also participated in one (1) webinar. I am thinking about giving the Pro membership a try for 3-4 months; just to see if I can actually make a positive return (I may just do it on paper). If I determine that the returns are acceptable, then I would purchase the lifetime membership. I thought it would be best to spend $300-$400, before spending $2,000 and then learning I couldn’t make anything. Thanks for your comment Ron. That sounds like a good plan. Just be aware of the fact that the pro membership doesn’t give you access to all the features of the lifetime membership (e.g. 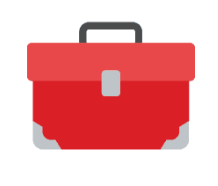 toolbox…). But I would love to hear your thoughts on the pro membership after the 3-4 month trial period. Considering 75% of all options expire worthless, high probability options selling would be the only method I would try. Specifically, selling cash-covered put options on stocks I wouldn’t mind owning anyway so if the price moves against me before option expiration, I just have to buy the stock at a discount. The downside to this strategy is it takes a lot of capital, I think. Thanks for your comment Alexander. There are a wide variety of different statistics on options expiring worthless. As far as I am concerned, it isn’t completely true that 75% of options expire worthless. I think the newest number is significantly lower. Nevertheless, I would still say that options sellers have an advantage and that options premium selling is a great strategy. Check out my historical vs implied volatility article to learn what edge option sellers have. But it’s important to know what you are doing before risking any real money. So make sure to educate yourself before trading with a lot of real money. Sorry, but I am unsure what your question is. What do you want to withdraw? Thank you for your honest review of Option Alpha. I have never been involved in any type of options trading as I never really learned what options trading is. Your review makes me wonder If this is something I could get involved with now. I am 62 and retired so I have a lot of time on my hands and the free membership sounds like something I could learn from. I will bookmark this page for future reading. If you are interested in the stock market and options trading, have time and are willing to put in some time, then this is definitely for you. I’m actually not too into trading; probably could never really understood it. I took a look at your post because I have always been curious about it though. This sounds like a really great system. I love that it offers free membership with the educational services so you can actually learn about it before you have to jump in and try to do it! Is Option Alpha available worldwide (I am in the United States). Many many years ago I tried some trading on Ameritrade but they didn’t have educational services (at least at that time) so I was just kind of floundering around not knowing what I was doing. Thanks for a great review and great post! Thanks for the comment. Yes, Option Alpha is available worldwide. That’s how most people get into the world of trading. They sign up to a broker but don’t really know what they are doing. That’s why it is important to educate yourself before risking any hard earned money. I have to say the stock market to me is one of the most scary things out there. The amount of money that can be lost in a matter of no time at all is disturbing. I think it is good to have learning options like this. However I still believe I would have to trust my money in the hands of someone who really knows what they are doing. A friend of mine who is heavily into the stock market once told me to invest you need to be able to go to sleep at night knowing you might lose it all and you have to be able to accept that. Thank you for the option. I may look at the free option just for some knowledge. Thanks for the comment Dale! First of all, I completely agree that the stock market can be a scary place. That’s why it is so important to educate yourself before risking any hard earned money! Furthermore, I have to disagree with the comment of your friend. A good trader should not have to go to bed knowing that he could lose everything over night. It seems to me as if your friend didn’t know how to manage his risk. If you educate yourself, you will learn about risk management which will allow you to limit your risk. Louis, nice to see your comments after everyone’s post. Most reviewers will only comment occasionally. Thanks for the review and you input. One question to you. If you had studied all of Option Alpha’s lessons or another service’s lessons, what strategy would you use personally if you had only 3K in a broker’s account and were qualified for buying and selling and various strategies? If you are interested, you could check out my free options trading education in which I go over how to trade options and which strategies to trade (even in a small account). Hopefully, this helps. Otherwise, make sure to let me know!